Getting a full night’s rest can make you feel like a whole new person at the beginning of the day. On the opposite end of the spectrum, lack of sleep leaves you feeling uncomfortable, unproductive and, more importantly, it can take and big toll on your health. Getting enough sleep seems straightforward, but many factors can cause you to have sleepless nights. Sleep is an active process that helps your body eliminate toxins, repair cells and maintain homeostasis. Poor sleep is known to cause toxic overload, mood swings, hormonal imbalance, weight gain and other health problems (1). The Sleep Foundation reports that 67% of people experiencing poor sleep quality also experience poor health. Poor sleep is typically caused by an unhealthy diet, low activity, strange sleeping position, high stress and underlying health conditions like autoimmune disorders. Gender and socioeconomic status play a role too: women are more likely to sleep poorly than men and having a low income influences sleep by causing high stress and low life satisfaction. Adrenal Glands Out of Sync? Your adrenal glands are located above your kidneys. These are part of the endocrine system and produce steroid hormones such as cortisol, aldosterone, and hormones that can be converted to testosterone (2,3). Some conditions like adrenal insufficiency and Addison’s disease can cause your adrenals to produce too little hormones. This is often caused by chronic stress, autoimmune disorders, thyroids problems, diabetes, malnutrition and other conditions (4). Some of the hormones your adrenals secrete secrete, like cortisol and adrenaline are directly responsible for your body’s stress response. Cortisol also plays a role in your circadian rhythm, which is the biological clock that regulates your body’s functions throughout the day and directly influences your sleep/wakefulness cycle. Normally, cortisol levels are at their highest in the morning to give you energy by raising your blood sugar levels. As the day goes on, cortisol levels gradually drop to reach their lowest point just before you go to bed (5). As you sleep, cortisol levels slowly get higher and reach their peak just as you wake up. However, when your blood sugar levels and stress levels are too high, cortisol can reach its peak in the middle of the night, causing you to wake up between 1-4 am and stay awake. This is a well-documented medical condition linked to adrenal fatigue which can be reversed by following a healthy lifestyle and trying out the tips below. Sleep disturbances and daytime sleepiness are the most telling signs of poor sleep hygiene (6). If you find yourself unable to fall asleep, frequently tired or waking up in the middle of the night, here are a few things you can do to get better sleep, have more energy and improve your health. It’s also important to avoid stimulants like caffeine and nicotine after dinner. Instead, drink a cup of relaxing chamomile tea shortly after your last meal to help you unwind before bed (7). The blue light emitted by your cellphone, tablet or computer affects your body’s production of melatonin, the hormone that regulates your sleep cycle. To get a good night’s sleep, electronics should be left outside your bedroom and should be unplugged 60-90 minutes before bed. Instead of overeating at dinner, have a little snack 3 hours or more before bed. Avoid munching on chips or sweets and eat a high-problem snack like nuts or yogurt instead. 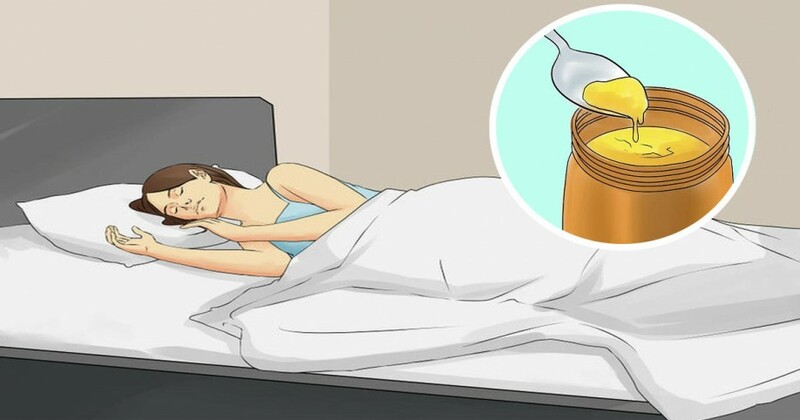 It’s also a good idea to take a spoonful of honey right before bed. Although it may be tempting to sleep in on the weekend, it’s actually better for you to stick to the same sleeping hours throughout the week. 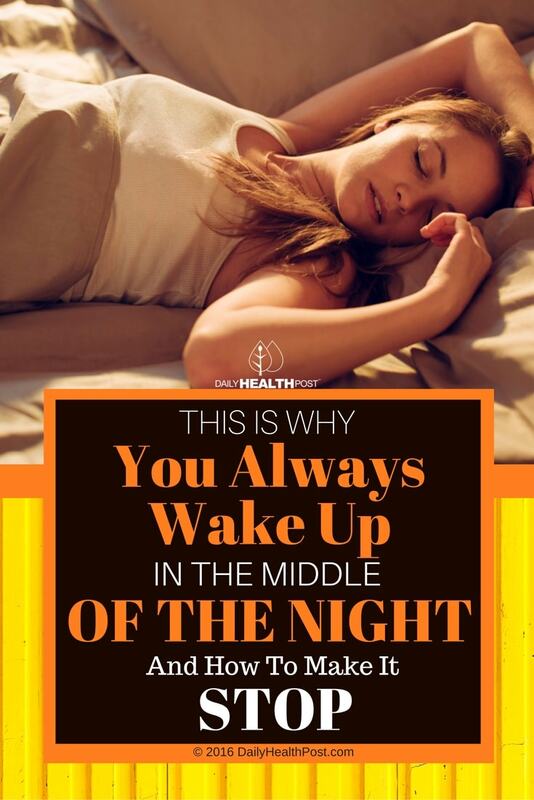 This will make it easier for you to get up and go to work on Mondays and consistently get a good night’s rest. However, you can catch up on sleep by taking naps early in the afternoon on your days off. Just make sure to keep them short and far from bedtime. Being too hot or too cold can affect sleep quality and make it harder for you to fall asleep. Research shows that optimal sleep occurs in bedrooms that are heated between 65-75°F. If you still feel cold, wear comfy socks and a warm pajama to bed. Eating inflammatory foods or foods you have trouble digesting can cause gastrointestinal problems during the night, making it hard for you to get a restful sleep. If possible, avoid high-sensitivity foods like dairy and wheat during dinner to help you catch some high-quality zzz’s. Exercising in the morning and early afternoon will ensure that your metabolism works smoothly throughout the day. However, exercising too closely to bedtime makes it harder to sleep, so make sure to get your cardio in before dinner. Being exposed to at least 20 minutes of natural sunlight helps your body regulate its sleep/wakefulness cycles. Taking another walk after dinner also helps you digest and exposes you to dimming light, which promotes melatonin secretion. Your bedroom should be your sanctuary. When it’s messy, poorly painted or undecorated, this room can actually hinder your sleep. You can remedy this by filling your room with plants, investing in a comfortable mattress and decorating your room with things you love. This will also help you feel more motivated and energized when you wake up! The best way to get a good night’s sleep is to slowly wind down into bed. After dinner, take it easy, shut down your electronics and engage in relaxing activities like yoga or taking a nice bath. Reading, coloring, and massaging your feet can also help lull you to sleep.